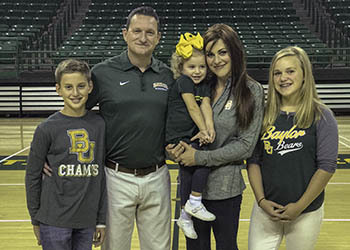 Scott Brewer serves the Baylor University Men's Basketball team and coaches as a full-time Nations of Coaches Character Coach. Scott and his family rely on support from donors like you to continue to positively impact lives, on and off the court. Thank you for your gift. Yes, I would like updates about Scott Brewer at Baylor University, and the positive impact of Nations of Coaches.